So you’re wondering how to get into ketosis? And of course, you want to do it fast right? This is a trend has exploded and I encounter a lot of questions. Due to the overwhelming volume, I answer many of them in the FAQ section at the bottom of this article. But here’s a QUICK GUIDE if you’re anxious to get started. Keep in mind it takes anywhere from 7-14 days for your metabolism to enter into ketosis. The biggest factor being your starting point. Start by tracking your carbohydrates (CHO’s). Once you have a baseline, drop your carbohydrates down to less than 30g/day. Try to avoid any of those carbohydrates later in the day. Replace those calories with quality protein sources such as whole eggs, meats, whey protein or similar choices. Introduce healthy fats into your diet such as avocados, coconut oil, butter from grass-fed cows, etc. I’ve experienced clients (who have tested themselves) drop into ketosis in less than a week. But they were already eating a very clean moderate carb diet. If you’re super anxious and want to get into ketosis fast, try fasting for 1 day. Immediately follow that with step 2 above. 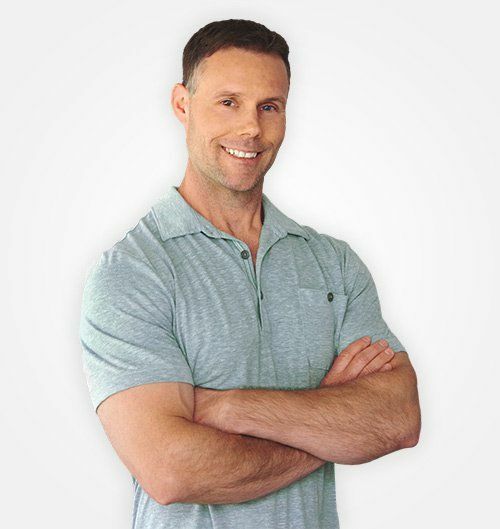 This is the safest way to get into ketosis fast. Ketone supplements are unnecessary. Save your money. Even if the speed up the process, you won’t notice the difference on the scale. How Many Carbs Can I Eat and Still Get Into Ketosis? How Will You Know You’re in Ketosis? Is Being in Ketosis Dangerous? What About the Long-Term Effects? Can I Eat a “Break Meal” on a Keto Diet? How Will My Body Utilize Fats and Proten? Why Do We Need to Make Our Own Glucose? 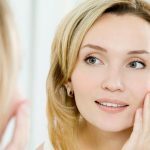 6 Symptoms to Watch For? How Will My Physical Appearance Change? Why is Someone’s Breath Odd or Sweet? Now, if you too have jumped into the latest fitness wave and want to know how to get into ketosis fast, read on. You’re not alone. Ketosis is all the rage right now. I frequently hear it being thrown around as though it’s a household term. But, on occasion when I ask people if they know what it means, I usually get the “hmmm, not really” look. Then how to get there fast…and SAFELY! Ketosis is actually a very specific chemical state of the metabolism. It involves a lot of biochemistry. I’ll refrain from that aspect since this is not a scientific publication. So, in case you’ve heard of it, but are unsure what it means, let’s see if we can simplify ketosis. It may describe one metabolic system, but it can occur as a result of several circumstances. Some are deadly and some healthy, which is where I’ll begin. Ketosis is a metabolic state in which our liver is producing ketone bodies. This is a result of fatty acid breakdown. Huh… what does that mean? It’s actually a system designed to spare the breakdown of protein. This is to save protein for important tasks. Such as making antibodies to fight infection, enzymes, and hemoglobin. Where does the protein that the ketone bodies are sparing come from if you’re not consuming enough protein? Almost all tissue in the body except hepatic tissue and red blood cells can use ketone bodies as a fuel source. The tissue that cannot, relies on gluconeogenesis. This is a mechanism that turns amino acids from protein into glucose. It’s a groovy ability to have. More on this part later. If one is diabetic. And they’re either not producing enough insulin or their cells are unresponsive to insulin. Glucose accumulates in the blood. It’s unusable. These individuals will enter a state of ketosis as if there is no glucose present. In other words, their cells are blind to the glucose. This is a dangerous situation. Not because of the ketone bodies. But rather because of the dangerously high blood glucose level. A ketogenic diet has the ability to keep diabetic individuals off medication. However, in a society where CHO’s are the staple, this is a difficult scenario for most people to follow. 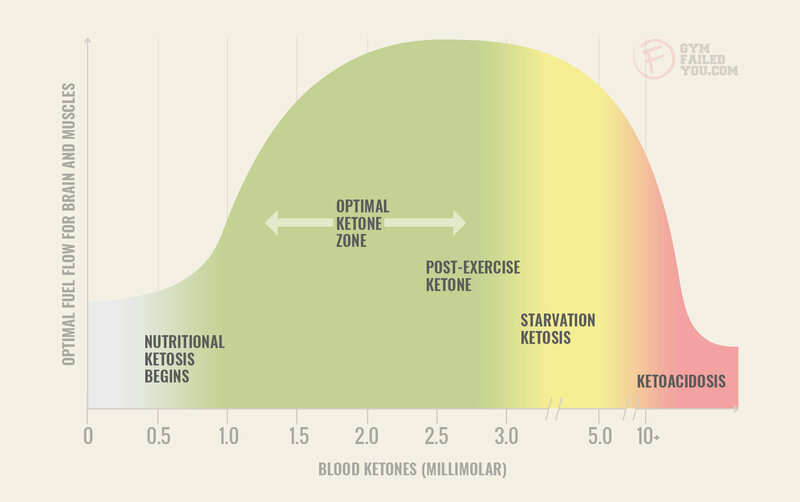 Starvation is the next cause of ketosis that very few of us will have to deal with (hopefully). It’s a preservation method to prevent too much wasting. But ultimately fails after enough time and death occur. A very low carbohydrate diet with adequate levels of protein and fats will cause a state of ketosis. This is where you want to be if you’re eliminating carbohydrates from your diet. Easier said than done. I don’t want to be redundant, but 7-14 days is really how long it takes to get into ketosis. After dropping carbohydrates below 30g/day, you’ll use up our stored blood, muscle and liver glucose. That takes about 1-2 days. You’ll start to produce glycogen via gluconeogenesis from your eaten and stored protein. That gets you to about 3-4 days into the changes. You start to produce ketone bodies as a predominant fuel source. At this point, all systems are using ketone bodies as fuel except for the brain, liver and red blood cells (RBC’s). Finally, after about 10-14 days, your brain begins to utilize ketone bodies as an effort to spare protein. The same protein that’s being converted in glycogen for the liver and RBC’s. So, I suggest being patient during this period. Being in a hurry will not produce success. But, let’s look at the positive here. During this transition, the number on the scale will go down. And you’ll start to feel better from the elimination of sugar from your diet. So while it takes longer to get into ketosis, you will see some results right away. Fast for one day and then follow a ketogenic meal plan. Using an app to track your carbohydrate, protein and fat intake is helpful. 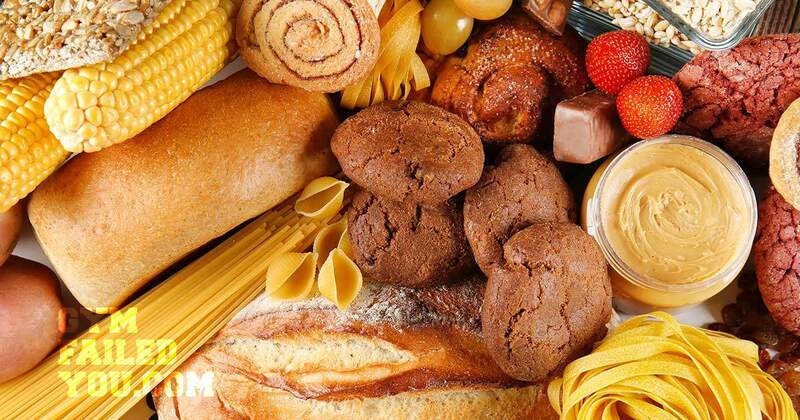 You’re likely consuming more carbohydrates than you realize. Keep your carbohydrates under 30g/day. Make sure to incorporate quality protein and fats. 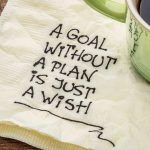 Follow your plan closely. Deviation from the plan can be more detrimental to your blood chemistry. Be aware of the changes in energy level or potential short-term headache during the initial stages. This is a sign that you’re on the right track. Increase your water intake. When we process carbohydrates, the reaction yields water. But when we process protein, water is lost during the reaction. In other words, you’ll need more water to maintain adequate hydration. Dehydration will slow your progress. These extra steps will get you into ketosis faster. However, it may still take you longer than someone else to get into ketosis. That is usually because their body’s starting point was closer. Your safest bet is to aim for anywhere in between the stated range. Then adjust after two weeks up or down depending on results. Your mouth may be a little more dry (yes, you should elevate your water consumption during ketosis). If you have diabetes and are still consuming carbohydrates…yes. Otherwise, no. Individuals with severe diabetes may end up in ketosis. When that happens it is a dangerous scenario because of the elevated levels of blood glucose. So what if there are very little carbs in an individual’s diet without diabetes? Well, it can disturb the body’s acid-base balance. However, not to the severity that it’s problematic. This is a non-issue as far as I’m concerned. So, in the absence of carbohydrates, ketosis is the lesser of two evils. This is because the liver is great at making ketone bodies and glucose via gluconeogenesis. Then deliver them to the brain and peripheral tissues. In fact, I wouldn’t consider ketosis a bad situation at all. Rather an amazing ability to adapt to our environment and what’s available as a food source. As I just said, ketosis itself isn’t bad. 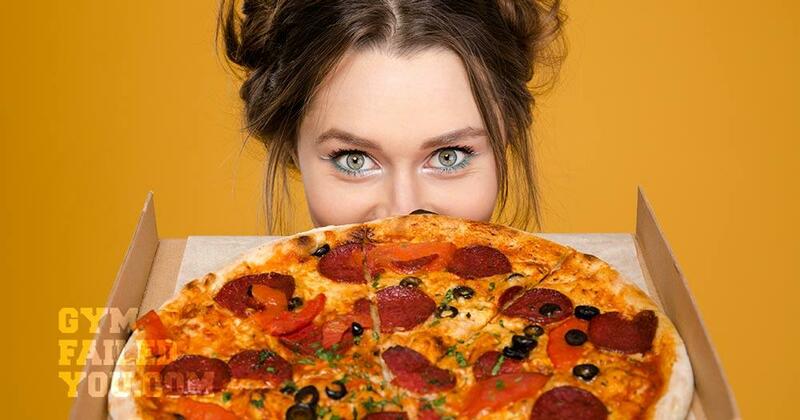 You’re someone who deviates from diets often. The keto diet requires a lot of planning and preparation. If you deviate too often, it can have a detrimental effect on your blood chemistry. If you are a huge fan of carbohydrates, you’ll find this plan too restrictive. Lastly, if your vegetarian, this is not a valid option. Like I said, I’ve had many clients do extremely well on a moderate carbohydrate diet. It affects each of us differently. So we have to test and see what makes us feel best. So if the Keto diet is bad for you and your lifestyle, don’t worry, there are plenty of other options out there. What About the Long-Term Effects of a Low Carb Keto Diet? The latest research shows the jury is still out for the long-term effects of a low carb ketogenic diet. The concern seems to be hepatic lipid accumulation. But the controls for this outcome are not strict enough to reference. If you’re considering this option long-term and have concerns. I suggest a yearly review of your blood chemistry. That’s always a good practice anyway. I reviewed a recent epidemiological study published in 2018. It suggested that a low CHO diet, as well as a high CHO diet, reduced life expectancy. Here’s my concern with that study. It considered low CHO to be less than 40%. That leaves room for individuals consuming a lot of saturated fat and still consuming a lot of sugar. This elevates triglyceride levels as well as LDL levels. This is a detrimental situation. A better cut off would be 10% or less from CHO to get an accurate result. Do I Have to Eat Carbs to Survive? The US Department of Health’s recommendation for carbohydrates is for two reasons. To prevent ketosis and provide glucose beyond our minimal needs. But we’ve already established that ketosis is not a bad thing when it’s not due to diabetes. In this country, there are many aspects contributing to dietary recommendations aside from research. One such influence is big business (grain industry). So you need to be skeptical about “recommended” allowances. I’m not a conspiracy enthusiast, but this is how the system evolved. Look at the big picture and follow the money. But, bottom line, we don’t need to consume carbs to survive. Can I Eat a “Break Meal” on the Keto Diet? Yes, but only if you stop eating carbs immediately after the break meal. I’m not aware of any valid research that tests the ability to stay in ketosis after a short-term consumption of glucose. Then immediately followed by no carbs. My educated guess is that it would not take long to resume a state of ketosis. But, it will likely not feel great for the individual after consuming a lot of sugar. After their body has been functioning on protein and fats. How Will my Body Utilize Fats and Protein in Ketosis? Our hormones adjust to better utilize fats and protein that are both stored and obtained from our diets. Some of the more prevalent hormones that adjust are insulin and glucagon. Insulin levels diminish and glucagon levels elevate on a very low carb diet. Think of insulin as a bulldozer pushing nutrients into cells. Glucagon promotes the production of glucose and stops the breakdown of glucose. These hormonal changes prepare for gluconeogenesis (the production of glucose using alternative sources). Why Do We Need to Make Our Own Glucose if We Can Use Ketone Bodies for Energy? Well, our brain prefers glucose. But, it will switch to ketone bodies after approximately two weeks of starvation. Does our brain rely on glucose from gluconeogenesis rather than ketone bodies in a fed state (low carbohydrate diet)? Any grad students out there in need of research? Not all amino acids from protein can go through gluconeogenesis to yield glucose. Turns out, it takes 1.6g of the appropriate amino acids to yield 1g of glucose. One would need to average 190g of protein a day to yield a days supply of glucose for the brain. Fortunately, our metabolism limits its use of glucose to preserve muscle tissue. Red blood cells and hepatic tissue cannot use ketone bodies either. So they must rely on gluconeogenesis. But, again, our body limits its use of glucose to reduce the need for gluconeogenesis. Sparing all glucose produced for red blood cells and the liver. After about two weeks of no carbs. We start to shift from ketone bodies as a large percentage of the fuel source. And to more fatty acids during a resting state. Despite this (last note), the blood concentration of ketone bodies continues to rise. And reach a steady rate after about three weeks of no carbohydrates. These ketone bodies are then used as a fuel source for our brains. This diminishes gluconeogenesis. High levels of ketone bodies seem to have a sparing effect on muscle. They help reduce the catabolic rate (break down of tissue). Long story short, we shift our systems to burn ketone bodies and fatty acids. This is to spare muscle tissue and continue surviving. What are Ketosis Symptoms From? Ketosis symptoms are caused by changes in the body as it adapts to using ketones instead of carbs. The symptoms may come in two waives. Some are initial short-term effects from the change. While others kick in later after your body has adapted. Not all ketosis symptoms are bad though. Some are quite good. For example, over time your energy levels will be more stable throughout the day. There’s less of the feeling of “running low on fuel.” As you no longer have the ups and downs of blood glucose levels dictating your energy levels. This is a response I’ve seen across the board for many people I’ve helped with a Keto diet. I’ve experienced the same result. Initial low energy. This is due to your metabolism switching to a different fuel system for the first several days. Your skin and mouth may feel dry if you are not consuming enough water. This will subside. 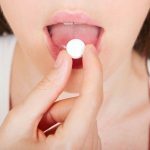 Why is a Ketosis Symptom Bad Breath? Bad breath (or a sweet odor) is a common first symptom of ketosis. Though it may only be mildly noticeable up close. It’s the presence of acetone in the blood. Acetone is one of the volatile ketone bodies. It is soluble in both lipids and water. If you’re not diabetic, this is not a problem. This is something that will subside after a while. How Will My Physical Appearance Change if I Remain in Ketosis? One becomes very proficient at burning fat stores in ketosis, so it’s a solid method to fat loss. Also, with adequate amounts of protein and strength training. 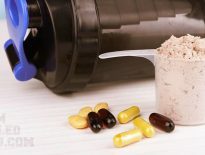 One should maintain or add lean muscle tissue. This all sounds great to me! What About Moderate-Intensity Endurance Athletes? High Intensity Athletes? A ketogenic diet is advantageous to moderate intensity athletes. Such as marathon runners or cyclists. However, for high-intensity athletes, you no longer have the same advantages. One’s ability to maintain “quick energy” diminishes. This is due to the lack of glycogen stores and lower activity of glycolytic enzymes. Now it’s time to play devil’s advocate… And sustainability is a valid point. Because it’s the most prevalent problem with this program. It’s difficult to be around people consuming all the carbohydrates you used to love and not fall off the wagon. You increase your water consumption. Your meal plan contains enough vegetables to get necessary fiber and micronutrients. You use an app to track your nutrients and either supplement deficiencies. Or add ketogenic friendly foods that make up the losses. Think about it. Can you realistically drop a staple food group from your life for a long period of time going forward? If not, I suggest you look into a low carbohydrate diet with no sugars. It’s easier and has similar results. I also have another concern that I’ve been scouring the research to confirm my hunch. After cessation of a few months on a ketogenic plan, our hormones (insulinRegulates glucose levels in the blood., leptinProduced by fat cells and prohibits hunger., and ghrelinIncreases hunger and regulates energy expenditure.) don’t exactly bounce back to pre-ketogenic levels. Before I explain, a trend I’ve seen begins with one following a ketogenic meal plan with great results. Slowly, they become more lax about food. Due to social circumstances, boredom, weight loss, etc. This leads to rapid weight regain. Your “hunger” hormone (ghrelin) elevates above its pre-ketogenic baseline after stopping. Your hunger inhibitor hormone (leptin) levels remain lower than its pre-ketogenic baseline. This is not surprising since this particular hormone is produced by fat cells. Less fat cells equal less of the hormone. A ketogenic diet induces hepatic insulin resistance. For how long, I’m not sure. This means insulin is not recognized, and blood glucose levels remain elevated. This is indicative of a diabetic state. If (and that’s a big if) one can maintain it indefinitely, I can’t think of any other negative aspects associated with a ketogenic diet. Whether one’s goals are to maintain adequate energy levels. 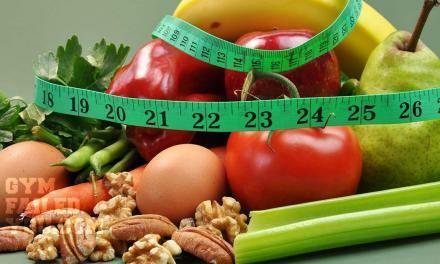 Or to stay lean, maintain a healthy metabolism or manage diabetes. However, if you’re trying to increase lean muscle tissue. You’ll have faster results if you incorporate good quality carbohydrates. On a side note, low carbohydrate diets that are not ketogenic, have a similar effect on many individuals. Especially if one eliminates sugar from the diet. I have to believe that one’s response to a particular type of diet has a lot to do with their gut microbe makeup. That’s a discussion for another time. A ketogenic diet also has benefits for lipid profiles. The ratio of triglycerides to HDL decreases. This happens when you replace carbohydrates with quality protein and fat sources. So if you’ve ever considered a ketogenic diet, give it a shot. But if you do, please make sure it’s sustainable for you. If it is, it’s definitely worth a try since you’re not doing yourself a disservice. Give it at least three weeks before passing any judgment though. I’ve experimented myself and with clients. Utilizing super low to moderately low carb diets. I’ve noticed similar results with both. But definitely feel better with the super low carbohydrate plan. Since I like to quantify everything, I decided to follow one of my keto meal plans. I do still have my break day on Saturdays. I never go overboard on a break day. Though I do enjoy a burger and a beer or some ice cream on occasion. I wanted to paint a realistic picture of my lifestyle from a typical blood panel. I have to say, I was very pleased with the outcome. These are great numbers for not feeling deprived, sluggish or foggy brained. This is my favorite style of eating for all of my years as a trainer. The numbers are below. Click the image to see the full report. Why is the keto diet popular? I’ve seen the trends change every few years. Although because of social media, they are coming and going at a faster rate. The current popularity of a ketogenic diet stems from the fact that it works well. There are a lot of paths to good health or weight loss. This is one of them. Is a keto diet healthy? When your CHO consumption is super low. And you’re consuming quality fats, proteins and fiber, your blood chemistry improves. Your triglycerides and LDL drops and HDL elevates. This is positive. Is the keto diet good for building muscle? This is a mixed bag. Yes. You can build good quality lean muscle on a keto diet. But you can also build quality muscle on a diet that incorporates carbohydrates. If you’re lean and trying to add muscle to a small frame, I suggest leaving carbohydrates in your diet. Insulin plays a key role in shuttling certain amino acids into muscle tissue. And the extra carbohydrates help. But, amino acids generally elicit their own insulin response to a much smaller degree. But enough to do the job. 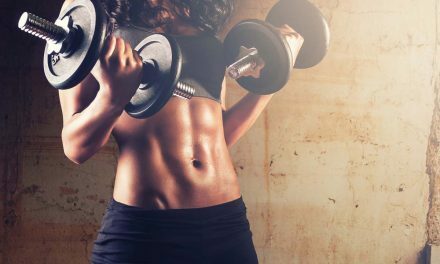 Most individuals want to add muscle while staying lean. So, yes this kind of diet is effective for staying lean and adding muscle. 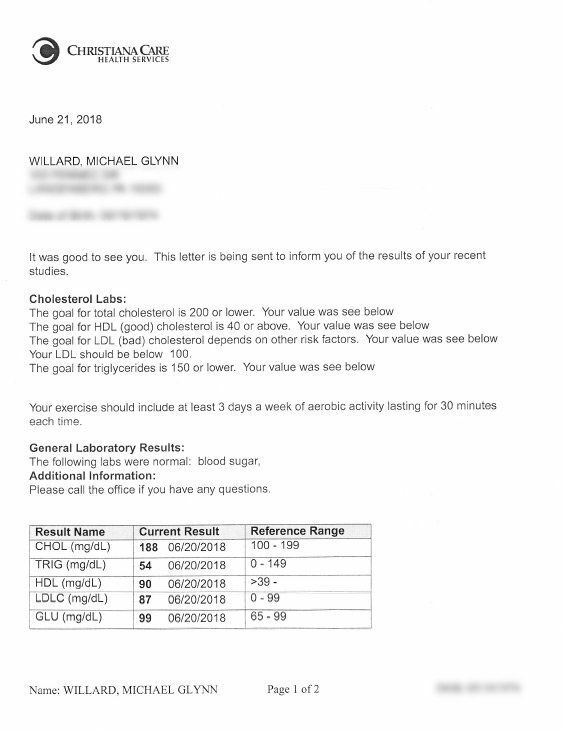 Will a keto diet lower my cholesterol? For most people, yes. HDL elevates and LDL goes down. There are some genetic factors that contribute to elevated cholesterol levels. They are out of one’s control. This is regardless of diet. After about 14 days. Our metabolism shifts to ketone bodies as the predominant fuel system. We make this fuel from fat in our diet and fat stored systemically. We convert some protein to glucose for the organs that can only survive on glucose (brain, RBC’s and liver). Is the keto diet good for diabetics? A great deal of my education covered nutrition and disease. It dealt a lot with diabetes. I firmly believe that a ketogenic diet is one of the most effective treatments for the following. Insulin-dependent and non-insulin dependent diabetes. I can’t disseminate medical advice. But eliminating the macronutrient that your body can’t manage from your diet, is a no-brainer! How keto diet affects cholesterol? For most people, it will raise HDL and lower LDL/triglyceride levels. Total cholesterol should also go down. Can I eat snacks when on a keto diet? Believe it or not, there are a lot of great snacks that fit into a keto meal plan. All in all, I believe in sticking to pre-planned meals throughout the day for the most success. But sticking to keto friendly snacks and treats on your break day is a great idea. Check out my article where I reviewed over 150 recipes and foods. All make viable snacks on a ketogenic meal plan. When does the keto diet start working? You may start seeing weight loss very quickly. However, you won’t get into ketosis right away. I’ve experienced some clients (who test themselves) begin to slip into a ketogenic state in under a week. But, usually, it takes up to 14 days. That said, once someone stops eating sugar and diminishes carbohydrates, they drop weight. Several factors contribute. A drop in muscle glycogen, a drop in the amount of stored water and some fat used as energy. It accelerates after 14 days of consistency. Will a keto diet lower triglycerides? Yes. Mixing saturated fats and carbohydrates tends to elevate triglycerides. When you cut out carbohydrates, this drops triglycerides levels. What is the keto diet side effects? Stabilized energy levels. Fat loss. Odd breath for a short period of time. A drop in LDL and triglyceride levels. Elevated HDL cholesterol. Will a keto diet help lose belly fat? There is no magic bullet of a diet to cut fat from a specific region. We burn fat systemically (whole body). During periods of rest. Our metabolism uses fatty acids. 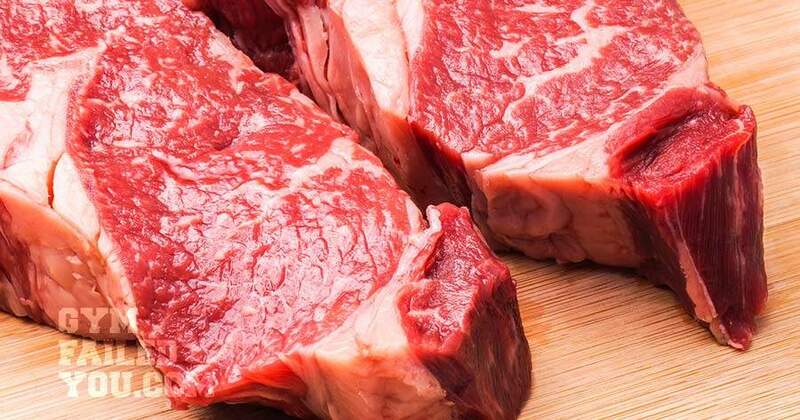 They dwell within muscle tissue (marbling of fat in your steak). That fat is then replaced by subcutaneous (under the skin) fat from all over the body. Because of hormonal differences, men store more fat in the abdomen. And women store more fat in the thighs. Both locations burn off last, because of the higher percentage in those regions. Can keto diet cause ketoacidosis? No. You have to be unresponsive to insulin when eating carbohydrates. Here’s an excerpt from this article briefly explaining. If one is diabetic. And they’re either not producing enough insulin or their cells are unresponsive to insulin. Glucose accumulates in the blood. It’s unusable. These individuals will enter a state of ketosis as if there is no glucose present. In other words, their cells are blind to the glucose. This is a dangerous situation. Not because of the ketone bodies. But rather because of the dangerously high blood glucose level. A ketogenic diet has the ability to keep diabetic individuals off medication. However, in a society where CHO’s are the staple, this is a difficult scenario for most people to follow. Will the keto diet clog arteries? No. Atherosclerosis is far more complicated than this article. It is a result of variables beyond just HDL/LDL levels. But, because a ketogenic meal plan tends to elevate HDL and drop LDL and triglycerides. Your risk for clogged arteries diminishes. Can the keto diet be long term? Yes. Because of the efficiency of our metabolisms. We can adapt to the long-term use of ketone bodies and make glucose via gluconeogenesis. This is for our nervous system, red blood cells, and hepatic tissue. As long as we are ingesting all our essential nutrients, long-term is safe. My only suggestion is to track your blood chemistry once a year. Numbers don’t lie and allow for dietary adjustments to stay healthy. Will the keto diet lower blood sugar? Yes. You can’t elevate blood sugar if you’re not adding carbohydrates to the system. Your body will make what glucose it needs. The three ketone bodies referred to in the text body are acetoacetate, beta-hydroxybutyrate, and acetone. The first two are oxidized via the Krebs cycle to yield ATP. The last, acetone, which is formed from spontaneous decarboxylation of acetoacetate is exhaled or secreted in the urine. Manninen AH. Metabolic Effects of the very-low-carbohydrate diets: misunderstood villains of human metabolism. J. Int. Soc. Sports Nutr. 2004;1:7–11. doi: 10.1186/1550-2783-1-2-7. Ellenbroek JH, van Dijck L, Töns HA, Rabelink TJ, Carlotti F, Ballieux BE, de Koning. Long-term ketogenic diet causes glucose intolerance and reduced β- and α-cell mass but no weight loss in mice. EJ.Am J Physiol Endocrinol Metab. 2014 Mar 1; 306(5):E552-8. Epub 2014 Jan 7. Zajac A, Poprzecki S, Maszczyk A, Czuba M, Michalczyk M, Zydek G. The Effects of a Ketogenic Diet on Exercise Metabolism and Physical Performance in Off-Road Cyclists. Nutrients. 2014;6(7):2493-2508. doi:10.3390/nu6072493. Priya Sumithran, M.B., B.S., Luke A. Prendergast, Ph.D., Elizabeth Delbridge, Ph.D., Katrina Purcell, B.Sc., Arthur Shulkes, Sc.D., Adamandia Kriketos, Ph.D., and Joseph Proietto, M.B., B.S., Ph.D. 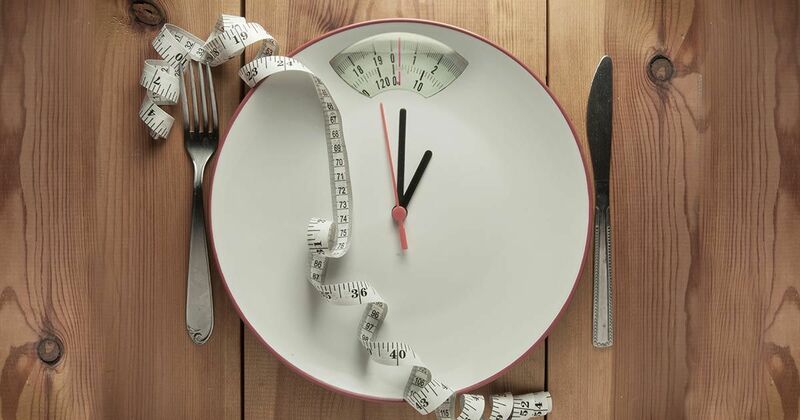 Long-Term Persistence of Hormonal Adaptations to Weight Loss, N Engl J Med 2011; 365:1597-1604. Mary Ann Honors, Brandon M Davenport and Kimberly P Kinzig, Effects of consuming a high carbohydrate diet after eight weeks of exposure to a ketogenic diet, Nutrition & Metabolism 2009 6:46. Adam Zajac, Stanisław Poprzecki, Adam Maszczyk, Miłosz Czuba, Małgorzata Michalczyk & Grzegorz Zydek, The Effects of a Ketogenic Diet on Exercise Metabolism and Physical Performance in Off-Road Cyclists, Nutrients 2014, 6(7), 2493-2508. 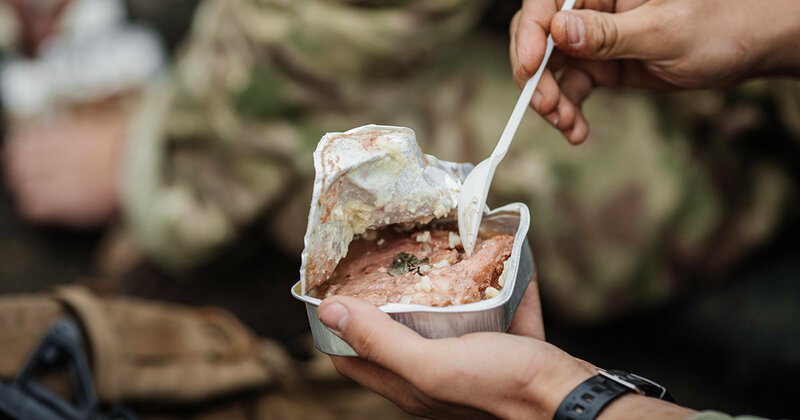 What is The Military Diet? Does This 3 Day Diet Work?